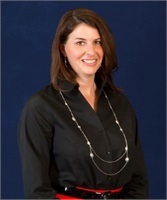 Staci Hernandez brings over 17+ years of administrative practice to her position at CCWM. She has been happily assisting clients in her role as Director of Client Relations since April 2010 and is a pivotal part of our team. Staci is responsible for supporting a busy roster of clients; maintaining a constant stream of inquiries, problem solving, navigating, scheduling, and troubleshooting for the client and the advisor. Her attention and skill set affords her position focus and clear opportunity to attain the goals expected from each and every individual she supports. Prior to joining our firm, Staci honed her detailed financial skills from 15 years of employment with Beneficial Finance. This comprehensive background provides the experience and characteristics that we value. Outside of the office, Staci and her husband enjoy raising their three busy children. She is a active Mom and loves spending time supporting her children's extracurricular activities including, baseball and softball. Staci's role as Director of Client Relations is an essential component to the efficiency of the overall office. She brings versatility to her position as an effective administrator of a busy office. Her personal qualities demonstrate an eye for maximizing time and achieving greater value.